An online training platform from Melbourne-based MAC Energy Efficiency Group (MAC) that equips electricians, plumbers and other tradespeople to fully comply with government energy efficiency schemes has won the 2018 “Best Innovation in Energy Efficiency” award from Australia’s Energy Efficiency Council. The award was presented on 19 November at a ceremony held in Sydney during the Energy Efficiency Council’s annual national conference. 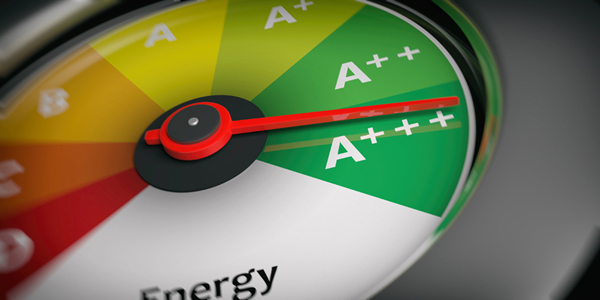 MAC is a quality assurance business that provides energy efficiency compliance advice, field auditing and training to energy retailers, regulators and contractors. The winning innovation was MAC’s online training tool called Energy Efficiency IQ (EEIQ).Tradespeople use EEIQ to learn how to fully comply with state-based energy-efficiency schemes. “EEIQ represents a revolutionary approach to training. It incorporates all the relevant regulations, codes and Australian standards into common language and animations,” said MAC managing director Merrily Hunter. Merrily said EEIQ encourages participation and promotes engagement because it allows tradespeople to access training any place they happen to be, rather than compelling them to sit in a classroom and use ineffective old-school methods such as lectures and slide presentations. “EEIQ is innovative in part because it recognises that most tradies are visual learners and have higher recall when they can actually see how a good job is supposed to look. EEIQ shows, not just tells. It provides a single, standardised version of training in plain language. It’s designed to actually help the front line,” Merrily explained. The significant time and thought went into the development of EEIQ’s individual modules is reflected in even minor details, such as the type of voiceovers employed. “In user testing, higher recall rates were achieved by using female voices for technical and regulatory explanations, while male voices delivered higher rates when the subject matter shifted to installation components,” Merrily said. MAC has been building and reviewing additional modules. These will provide training for all tradespeople working in the sectors of new energy, solar battery installations, commercial lighting, geothermal and more. According to a MAC press release, companies have even contacted the Victorian quality assurance business to request custom modules based on their specific product and installation methods to assist their contractors in achieving quality control and consistency.